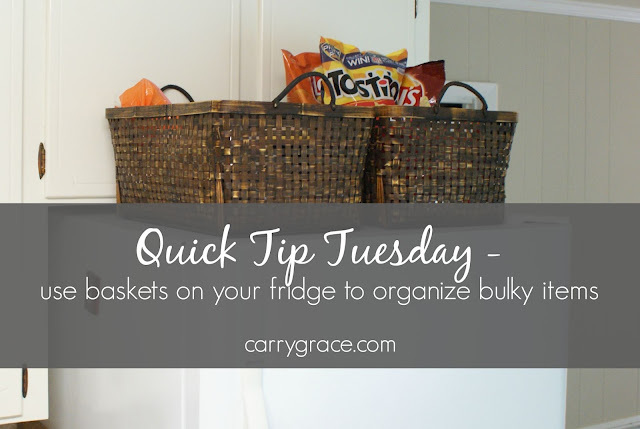 Do you have bulky items that don't fit in your pantry? 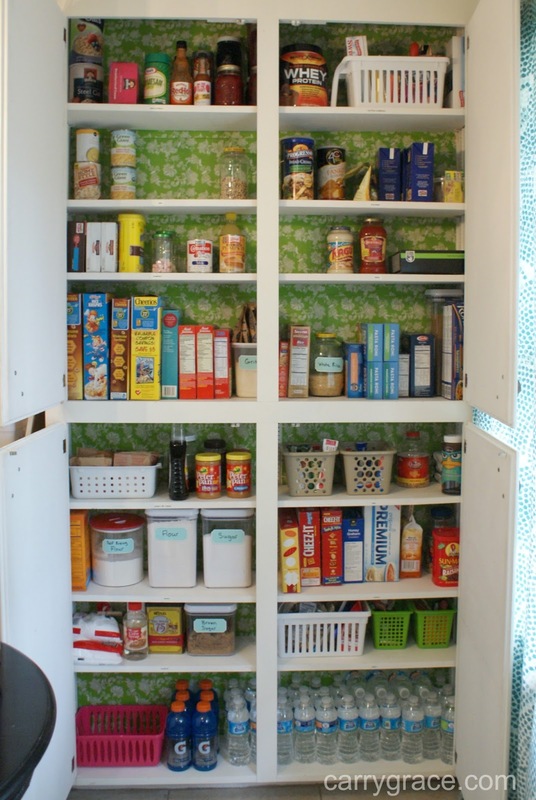 Maybe you don't have a pantry at all and you need a place to store some of the larger food items in your kitchen. I've got a quick tip for you. Use the space on top of your fridge to store those bulky items. We have a great pantry, but it is very shallow and doesn't hold things like bags of chips and bread very well. I just placed some large baskets on top of the fridge to hold these items. One for all the chips and one for all the bread, tortillas, and bagels. I have used this method for years and it works really well for us. You don't have to spend a ton on baskets, but if you get pretty ones they do add a nice touch. No one will have to know that your bread and chips are hanging out up there. Basket Source - Pier One about 14 years ago.